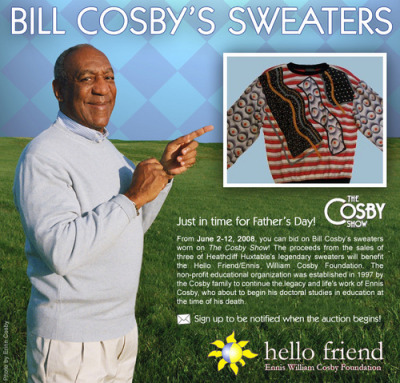 Get this….Bill Cosby is auctioning off his classic sweaters. It’s all for charity but more importantly, for the sake of fashion. Ah, just in time for Father’s Day!